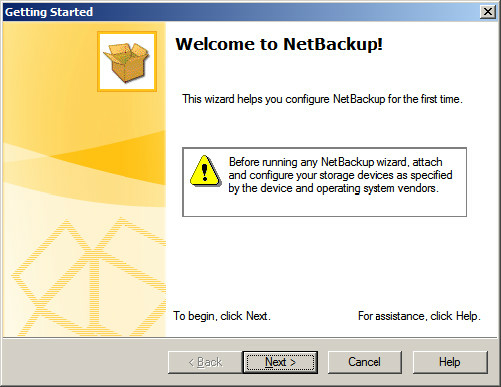 After completing the installation of Symantec NetBackup master server, open up the admin console from the start menu. Once it’s opened, it will ask you to setup storage devices, media and also catalog backup. 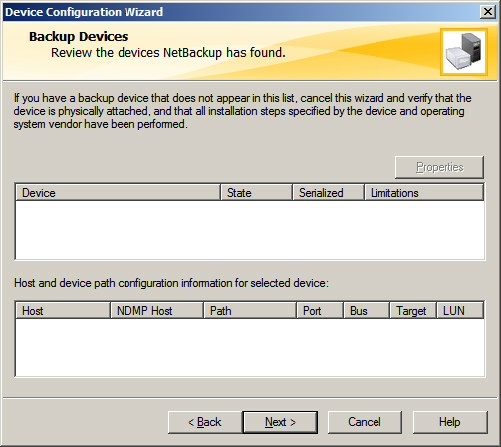 This ensures that storage devices and catalog information has to be created before configuring backup policies. 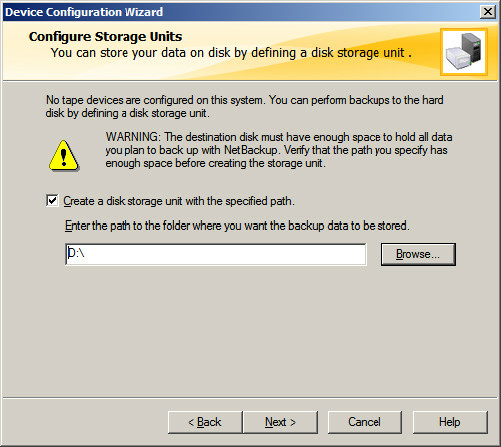 Storage location can be either disk or media (external), disk backup is simple and cost effective. Here i used disk to store a backup data. 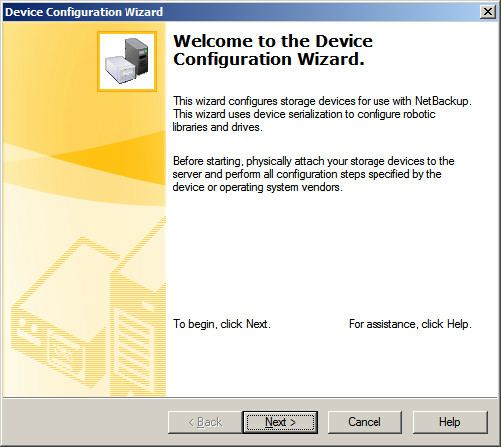 Click on Next to Configure requirements. 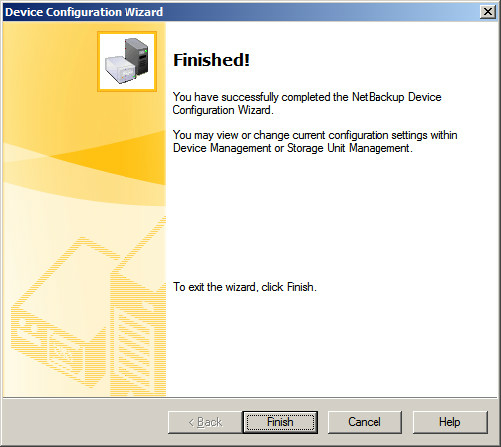 First is to Configure Storage Devices. Click on Next. 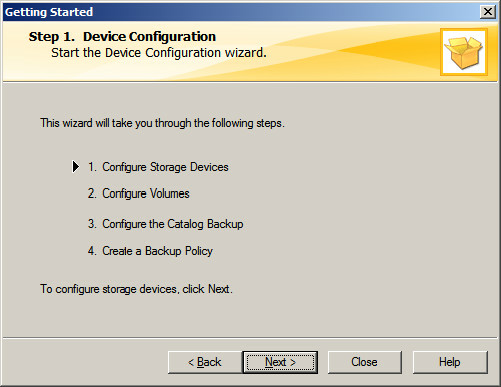 Click on Next to configure storage, before proceeding make sure that internal or external storage devices are physically connected. 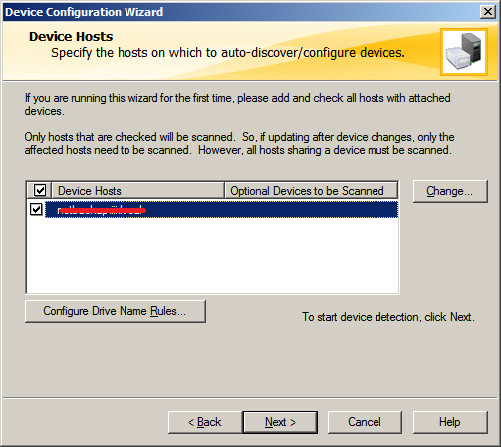 Click Next to scan the selected hosts. If any external devices are found, it will display the information below. As per below report, no external devices are connected because i am setting up disk backup. Then click next. If external devices are not found, i might given an information below. Click on OK. 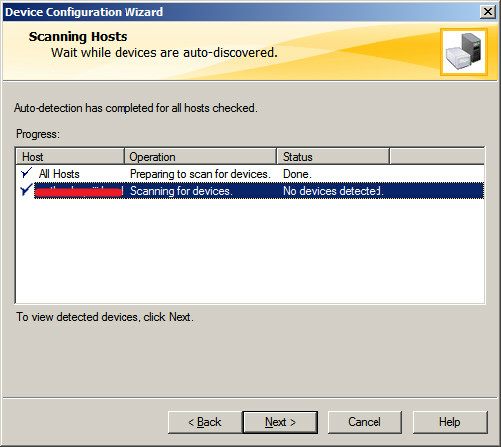 It will give a scanning summary, no external devices found. click Next to continue. 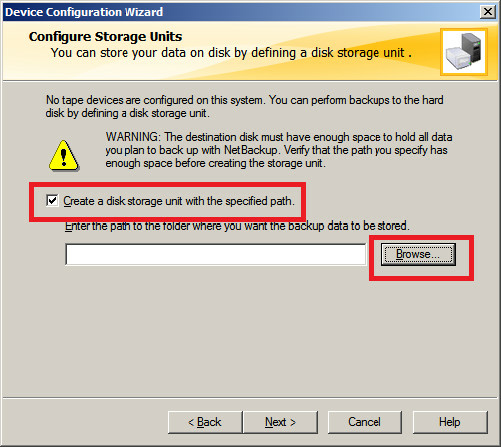 Now it’s the time to use disk as storage location, check on Create disk storage unit with the specified path. Click on Browse. Your disk must have enough space to hold all the data that your going to backup. Click next to confirm the storage location. 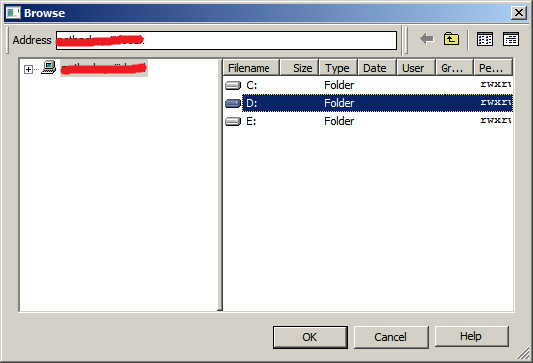 Click on next to configure Volumes. This is only valid if you have a media ( External Tape drives) otherwise you might get an error like below. 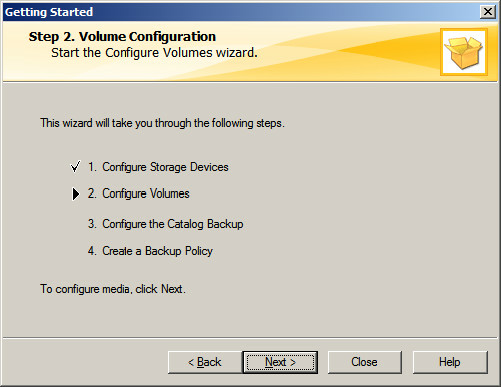 Now you have successfully configured the Storage location and Volumes on Media ( If Applicable), Catalog backup and Backup policies on next tutorial.